An altar to the Virgin and child. Ethiopia is known as the "land of Mary". She is the saint most revered, known as the "protectress" for the nation. 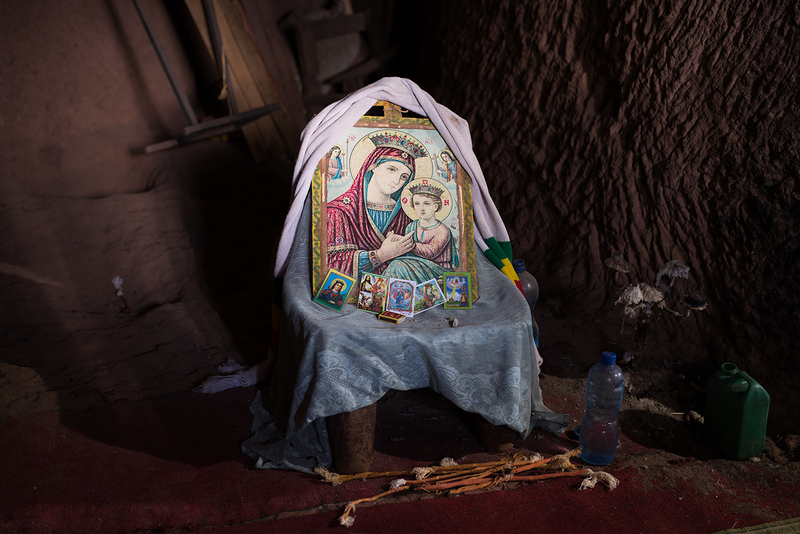 In the Orthodox church, Ethiopia is thought to be the daughter of Mary and she is referred to in all liturgies. Mary is commemorated every month and there are more than 30 feasts in her name each year. The church teaches that Mary was taken to heaven where she prays for Ethiopia until Judgement Day. She is regarded as the Queen.